Kharazmi, S., Baghizadeh, A., Torkzadeh-Mahani, M. (2017). Recombinant Expression of the Non-glycosylated Extracellular Domain of Human Transforming Growth Factorβ Type II Receptor Using the Baculovirus Expression System in Sf21 Insect Cells. Biomacromolecular Journal, 3(2), 93-99. Sara Kharazmi; Amin Baghizadeh; Masoud Torkzadeh-Mahani. "Recombinant Expression of the Non-glycosylated Extracellular Domain of Human Transforming Growth Factorβ Type II Receptor Using the Baculovirus Expression System in Sf21 Insect Cells". 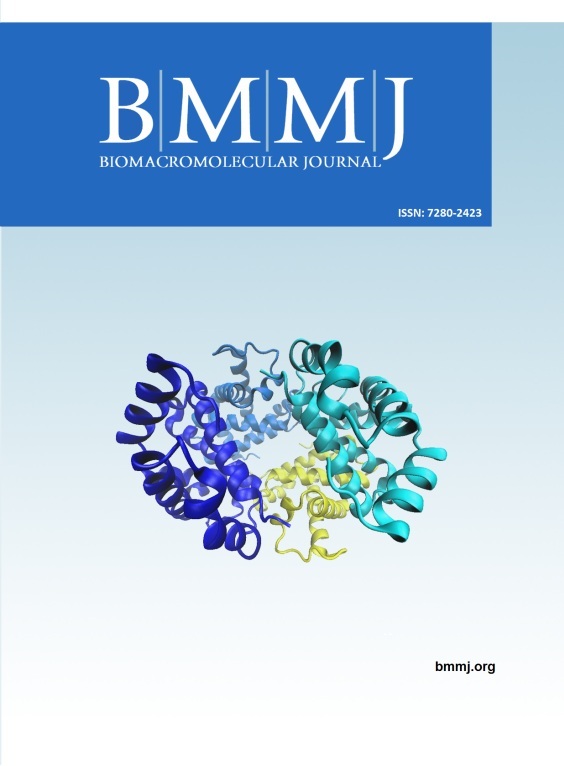 Biomacromolecular Journal, 3, 2, 2017, 93-99. Kharazmi, S., Baghizadeh, A., Torkzadeh-Mahani, M. (2017). 'Recombinant Expression of the Non-glycosylated Extracellular Domain of Human Transforming Growth Factorβ Type II Receptor Using the Baculovirus Expression System in Sf21 Insect Cells', Biomacromolecular Journal, 3(2), pp. 93-99. 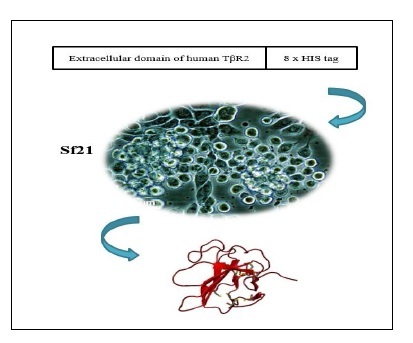 Kharazmi, S., Baghizadeh, A., Torkzadeh-Mahani, M. Recombinant Expression of the Non-glycosylated Extracellular Domain of Human Transforming Growth Factorβ Type II Receptor Using the Baculovirus Expression System in Sf21 Insect Cells. Biomacromolecular Journal, 2017; 3(2): 93-99. Transforming growth factor beta (TGFβ1, β2, and β3) are 25 kDa disulfide-linked homodimers that regulate many aspects of cellular functions, consist of proliferation, differentiation, adhesion and extracellular matrix formation. TGFβs mediate their biological activities by binding of growth factor ligand to two related, functionally distinct, single-pass transmembrane receptor kinases, known as the TGFβ type I and type II receptors. The high affinity of type II TGFβ receptor to TGFβ 1 and TGFβ 3 makes it a potent and specific inhibitor for TGFβ related studies. In this study, we designed a recombinant construct including a part of the extracellular domain of type II TGFβ receptor (amino acids 38 – 159) which functionally was active according to previous crystallography studies. The recombinant protein was efficiently (30 µg per 106 Sf21 cells) produced in Sf21 insect cells which were transfected by recombinant baculovirus. The recombinant protein was purified based on the presence of His-tag sequence using Ni-NTA agarose.